Need some help or more info? Give us a call today (470) 322-4659 or drop us a line via email! Call today for our free award-winning plan book! After living in south Atlanta for 35 years and raising four children we decided that our interest was to move to the mountains of north Georgia. We really had our sights set on Alaska since we spent several summers and winters exploring there for a new homestead site without success. During our travels we spent several overnight stays in log cabins and B&Bs and fell in love with the atmosphere of a log home, so we decided that a log home was the only option for us. 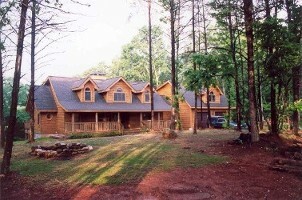 So began our journey of picking the right company to purchase our Log Home package. For several months we researched companies, attended shows, and visited model homes. After narrowing the field down we ultimately were comparing everything back to Timberhaven. So the logical choice was to move forward with Timberhaven. A year after receiving our package we moved in and began our dream of living in a log home. The last few years have proven that our decision to go with Timberhaven was the correct one. 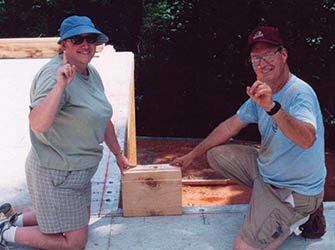 Our absolute satisfaction with our home has driven us to sell for Timberhaven Log & Timber Homes. We have learned a lot in the last few years and are hoping to share our knowledge with you. We will be able to share our good fortunes of designing and building our dream home as well as what we would do different. Most of all we will build a relationship with you assuring that you are not alone in this process. 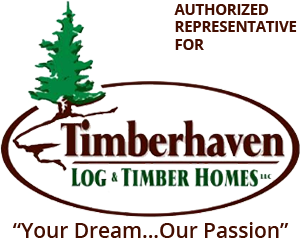 Timberhaven Log & Timber Homes - "Your Dream...Our Passion"
We are an authorized representative for Timberhaven Log & Timber Homes, one of the largest log home and log cabin manufacturers in the country. 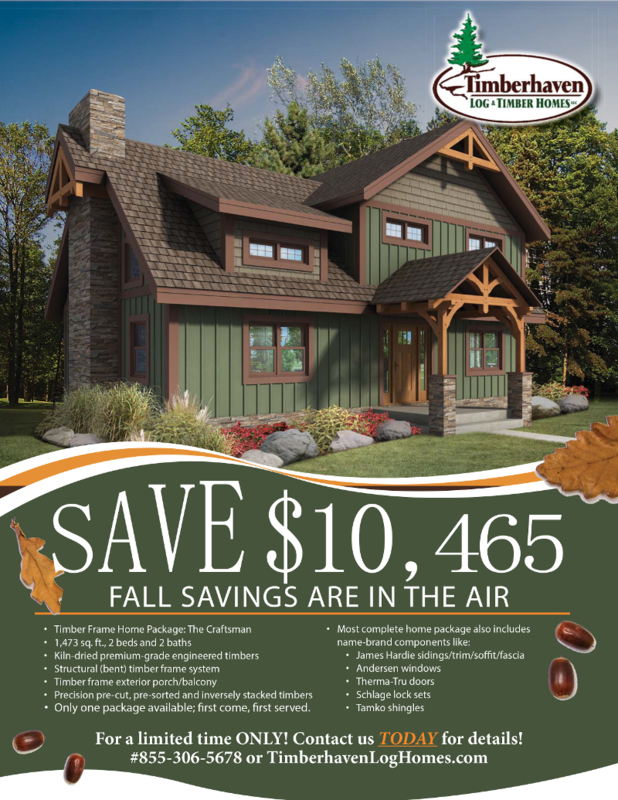 Timberhaven homes are constructed from kiln dried logs which makes them far superior to other log home manufacturers that do not use the true kiln-drying process when manufacturing their logs.